It is Saturday and unlike typical Saturdays when I have to go another city for an hour’s travel to attend to my graduate studies, I had to wake up early and drag my little kid with me, so, he could run in his inline blades as I do my morning jogs and kickboxing. I want to teach my kids the need and importance of healthy lifestyle with exercise as regular habit along with healthy diet. That way, he could grow up giving importance to clean and healthy living. So, I took my usual five runs and half an hour of kickboxing to complete the body exercise while my son played with other kids on his inline blades. He could only brag that he took two ( 2 ) turns on 800 – meter tracks. 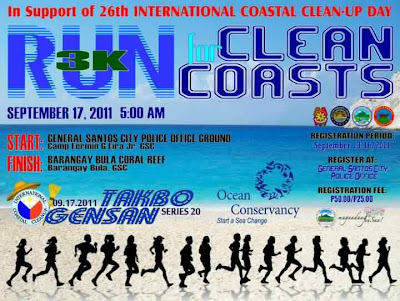 Good thing we had the exercise because come Sunday, I shall be in for a local fun run again. 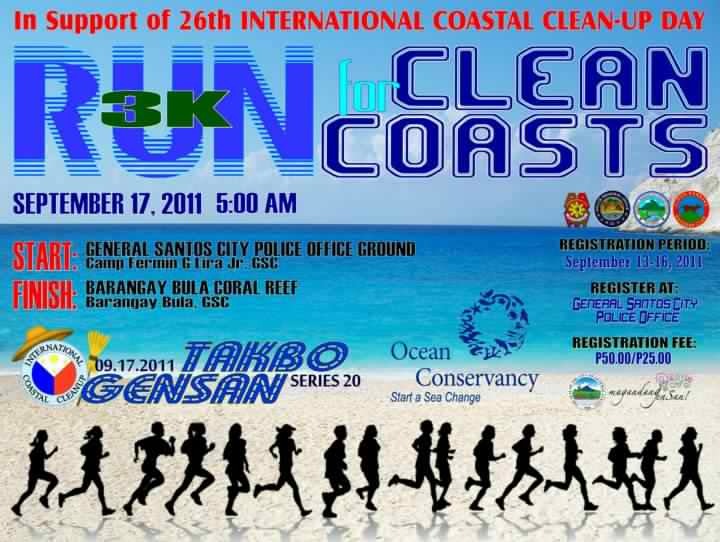 This time, the run is for the benefit of coastal clean – up. So, we can only take pride that we are living healthy and living for a good cause too.